Anytime I make my way up to Houston, be it for family or friends or both, I always make time to stop by Sam Moon in the Woodlands. It’s like a bigger, glitzier, cheaper version of Charming Charlie, Versona and all those other accessory stores. It also helps that this location is about 5 minutes away from my aunt and uncle’s house! It’s very bare bones inside, with handbags and totes piled into open-topped bins, and jewelry organized on the walls into sections for earrings, necklaces, sets etc. There’s an area in the back behind the registers where they keep sterling silver, gold plate and crystal jewelry that’s a bit higher priced (but still very affordable!). There is even a wall of faux hair pieces! Sam Moon also carries luggage, shoes, scarves, belts, wallets and men’s accessories, and tons of other stuff. The prices have gone up in the last few years, but I can always manage to find a few things to take home that I think are a steal. I think I really hit the jackpot on this trip! In this post, I’ll include a picture of my purchase, a link to where to purchase the item on Sam Moon’s website (most of what I purchased in-store is available online!) and I’ve also included a link to the authentic, couture item it’s based on, for comparison’s sake. 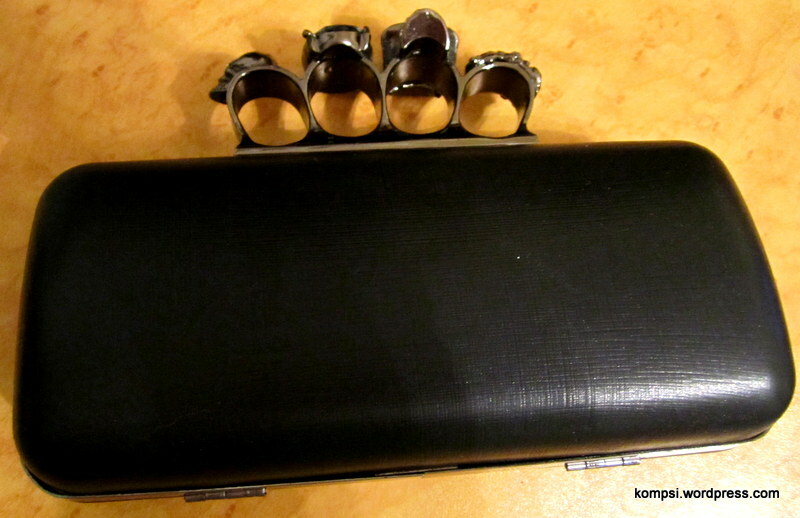 First up is the faux Alexander McQueen Knuckle Duster clutch. I was SO EXCITED to find this because I love the real one! It’s tough and girly and high fashion all at the same time. 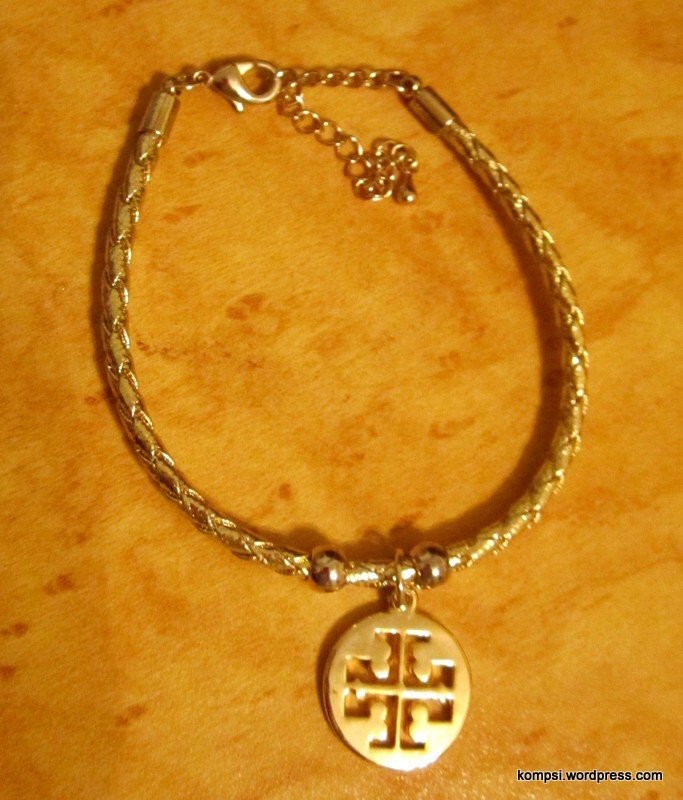 My version also includes a long chain strap to wear over the shoulder or cross-body. 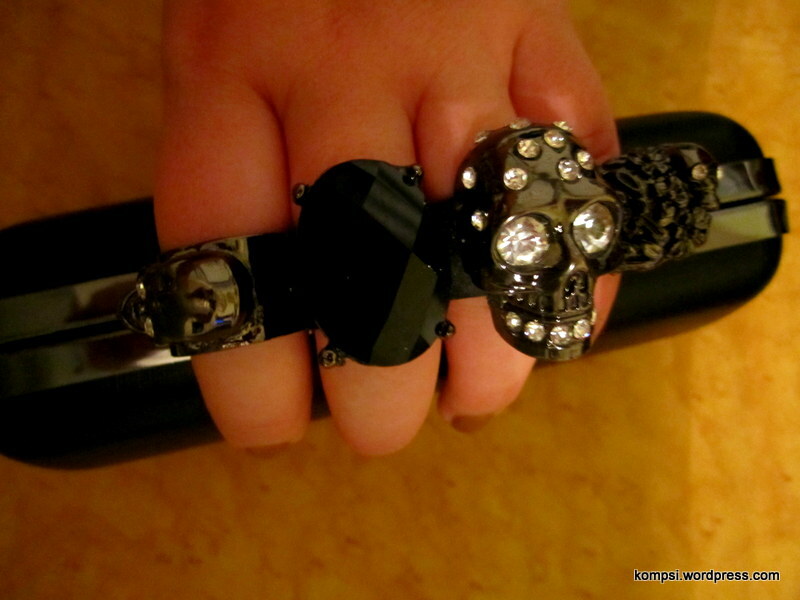 It’ll be the perfect accessory for when I go to Lady Gaga’s Born This Way Ball in January! 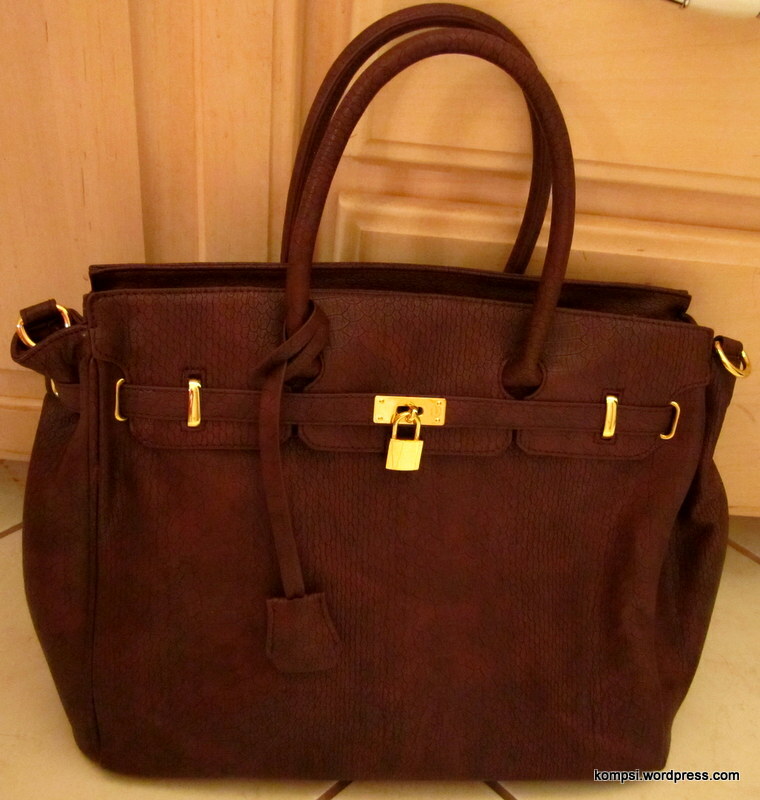 Next is the Hermes Birkin bag! The classic, iconic bag and the ultimate status symbol. Unfortunately, it’s incredibly steep pricetag will prevent me from ever purchasing a real one in my lifetime. Unless I win the lottery. Anyway, depending on the material and hardware used, it can cost anywhere from $8,000 to even $50,000! So this purple pleather python is perfect (alliteration win!). I love a large tote! Perfect for fall! I love the braided, pleather band! Truth be told, I had never seen nor heard of the J. Crew Bubble Necklace until recently, but apparently it’s been perennial favorite for a while now. I really do love the look of it, but in general I don’t like spending a lot of money on statement necklaces like this because I don’t wear them often and if I’m going to spend a lot of money on jewelry, I would prefer it to be in real gold or sterling silver with real stones, instead of resin or glass. Also, the Sam Moon version includes matching earrings! 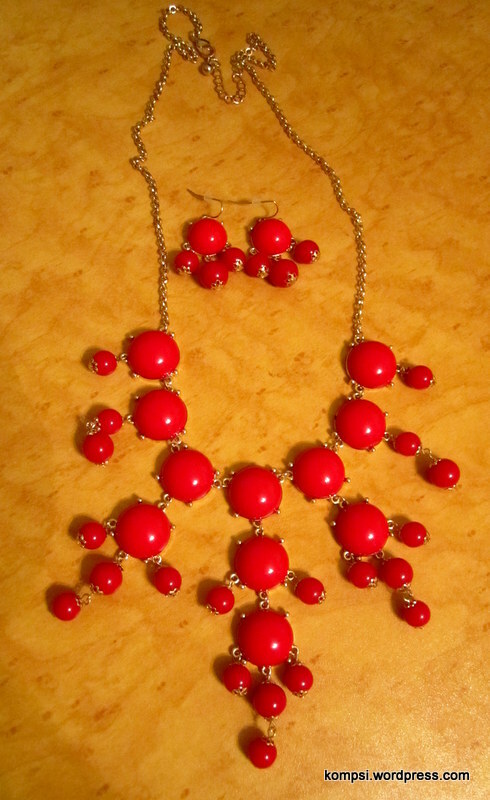 I also picked up a couple more statement necklaces since the prices were so great! And I LOVED the colors, especially the deep eggplant one. Unfortunately again, these two are not available on SamMoon.com, but they have some other great pieces! 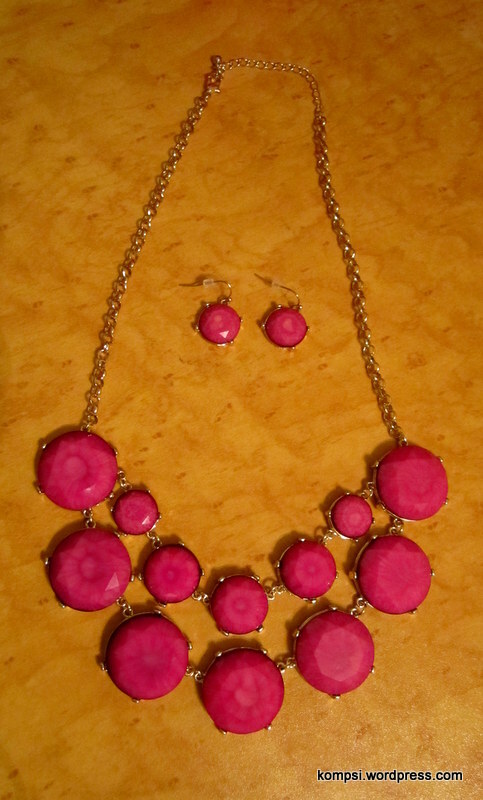 Like the bubble necklace, these two also came with matching earrings. Eggplant is one of my fave colors. You can never go wrong with pink! 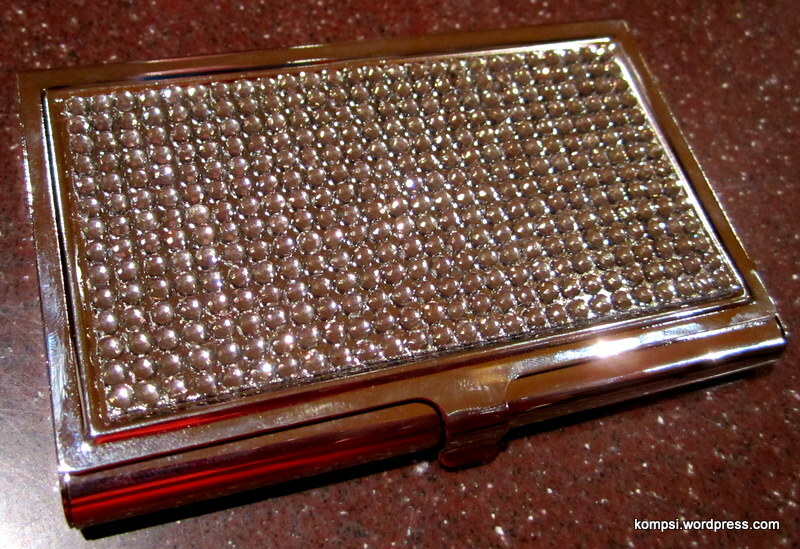 Lastly, I picked up this bedazzled little card holder. I love these! My cousin had given me a white pleather one for my birthday a few years ago but because I’ve used it so much, it’s gotten pretty dirty and I just couldn’t pass up this sparkly one. I love these because I tend to change out my large purse that I carry during the week to a smaller one on the weekend, and I can just throw this in without having to worry about digging out my big wallet. It’s just big enough for my drivers license and a few credit cards. This also isn’t available on SamMoon.com, but I think it was about $3-$5. 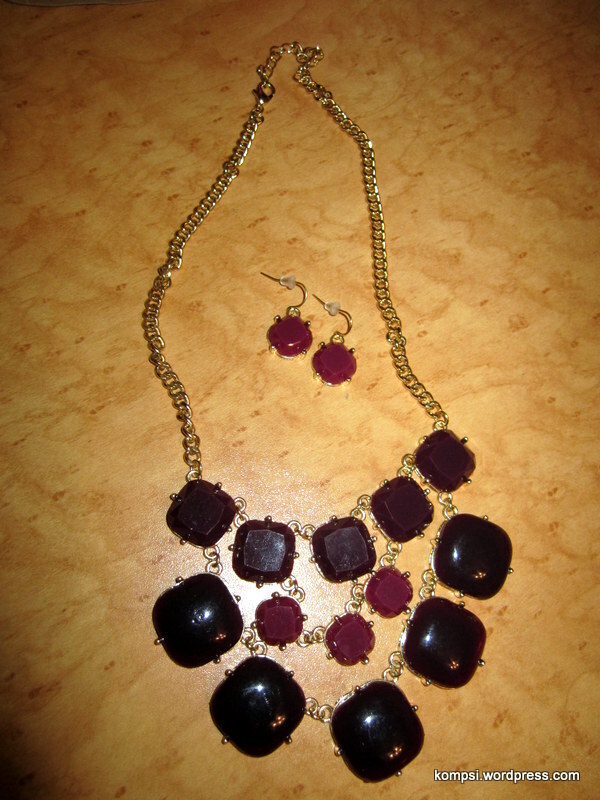 So all in all, I spent about $130 on all of this and I didn’t even show ya’ll the cute pendant and earring Konstantino-style set I picked out for my grandma!